Centre with travelling table – FVP | Strojírna Tyc. s.r.o. The machining centre FVP is the machine tool, which has gantry construction and it´s equipped by closed portal frame and travelling table. 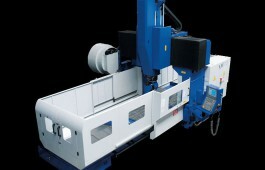 This production line is simple version of the standard machine tools FVC. 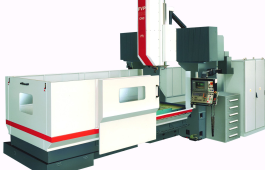 The machining center is controlled by Heidenhain iTNC530 HSCI in three basic coordinates – X (table longitudinal travel), Y (transverse travel of the ram with the headstock) and Z (vertical travel of the headstock). 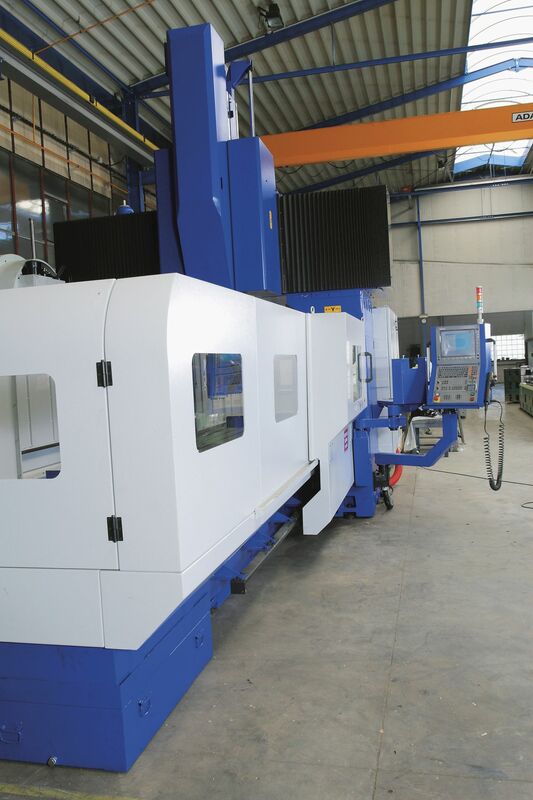 The machining center can also be equipped with a different control system according to customer requirements – Sinumerik 840D or FANUC. 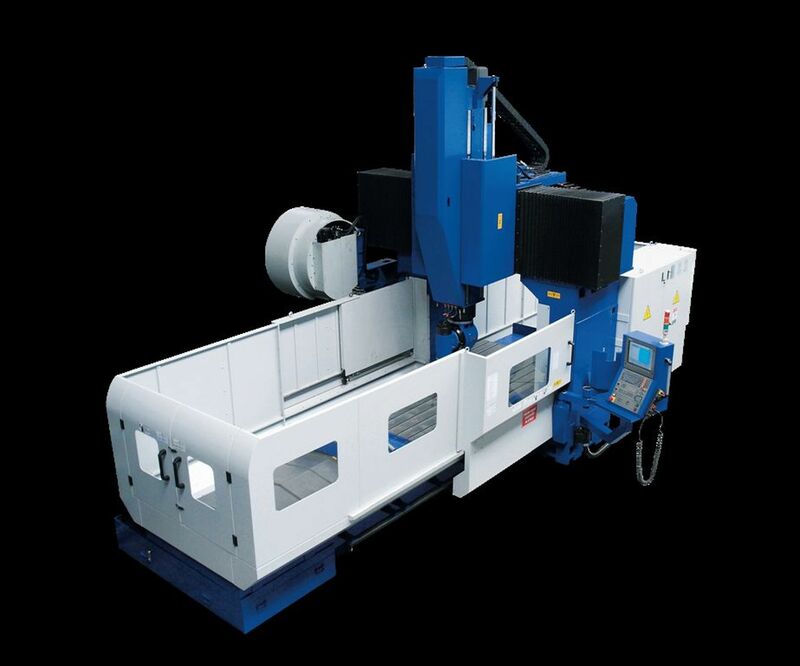 The machining center is equipped by ram (headstock) with integrated mechanical vertical spindle, driven by electromotor and ZF gearbox. 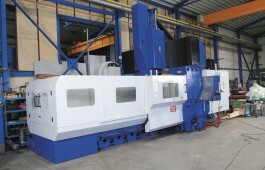 If it is necessary machining in 4 or 5 axes, can be delivered as option NC swivel and tilting table . Or can use a manually adjustable angular head. The machine is fully covered from the sides, but there is no roof over the workspace. The work area is accessible through sliding doors on the machine side. 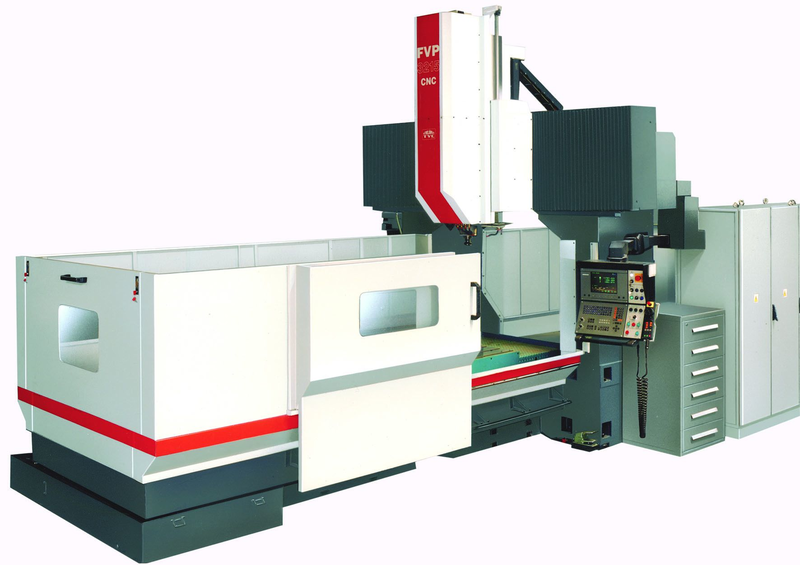 The machining center is in the standard version equipped by two longitudinal and one transverse chip conveyors and by anchoring materials. The machine could be equipped by the automatic tool change, the equipment for the external tool cooling and cooling through the spindle or other special accessories according to the customer’s request. 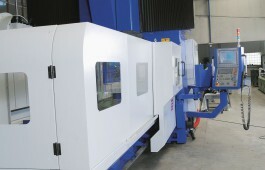 The machining centre can be equipped with automatic tool change, tool cooling, both external and internal (spindle center) or other optional accessories.